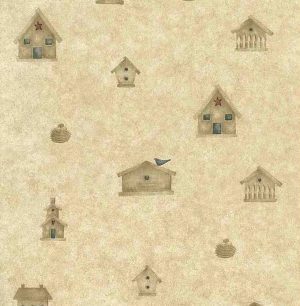 Birdhouses food cans vintage wallpaper border. 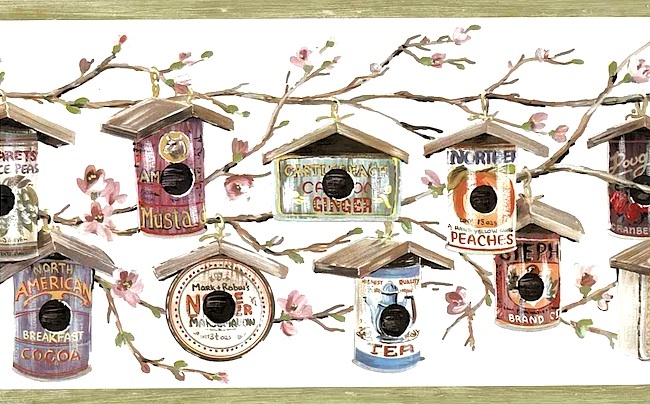 An interesting display of birdhouses which are in the shape of can of food with labels for mustard, peaches, ginger, tea. Multi-colors of Brown, Beige, Orange, Blue on Off White. With driftwood colored edges. The birdhouses are hanging from cherry blossoms.